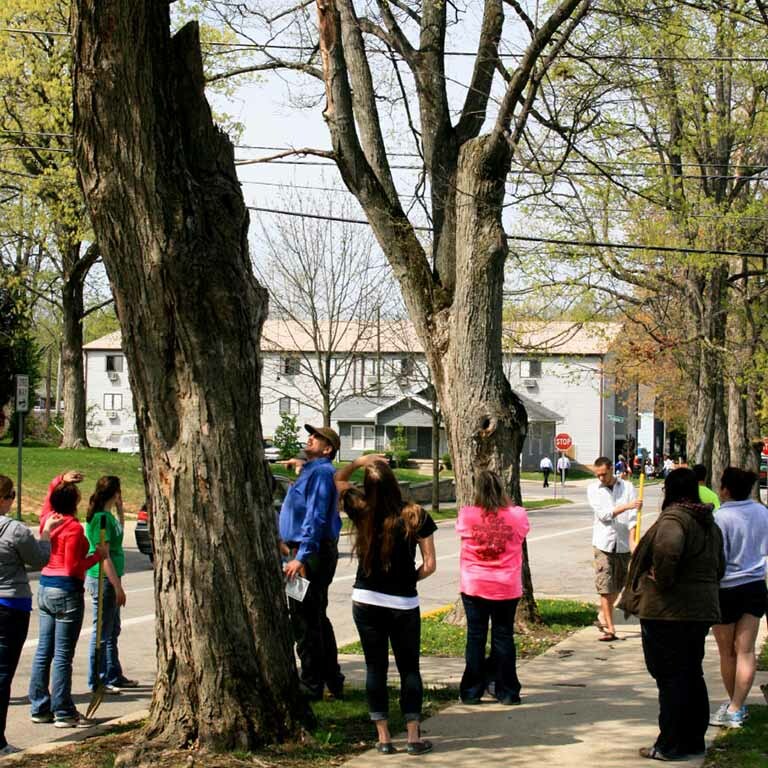 Declining urban tree canopy cover in the United States underscores the importance of elucidating factors that influence the distribution of urban trees. This is particularly relevant as most urban trees are located on private property while their canopies maintain ecosystem services that constitute public goods. Thus, municipalities establish institutions in the form of canopy cover goals and various policies to incentivize private actions to meet those goals. 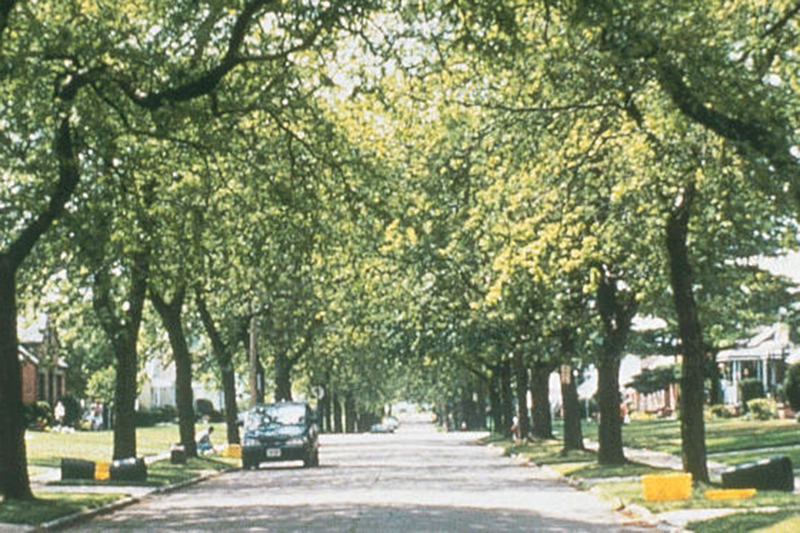 However, urban land use, as governed by municipal zoning policies, plays a role in the abundance, distribution, and potential future location of urban trees independent of policies meant specifically to manage canopy. For instance, previous research finds that lands zoned for residential and park development have the highest canopy cover relative to other land uses. Yet, little research has explored whether this conclusion holds across scales and how it might influence our understanding of potential canopy cover (PCC) and relative canopy cover (RCC). In this research, we ask does the nature of the relationship between zoning and canopy cover change between aggregated and disaggregated zoning scales and how might this knowledge improve the sustainability of urban forest management? 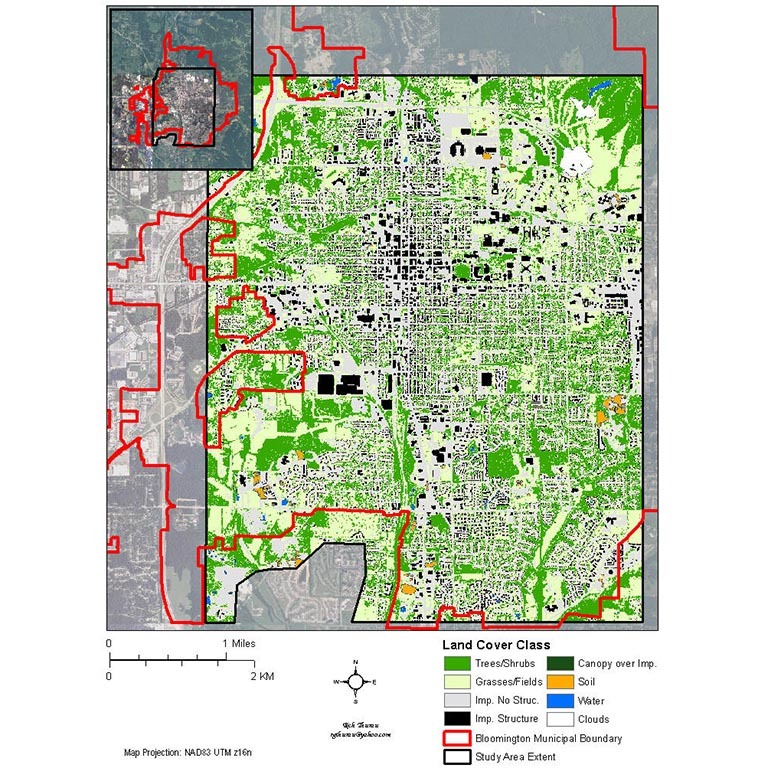 To answer this question, we classified high resolution National Agriculture Imagery Program (NAIP) images of Bloomington, Indiana land cover and compared existing canopy cover (ECC), PCC and RCC across aggregated and disaggregated zones. IU News Room press release on the IUOS Sustainability Grants Announcement, February 24, 2009. Mincey, S.K., M. Schmitt-Harsh, & R. Thurau. 2013. Zoning, Land Use, and Urban Tree Canopy Cover: The Importance of Scale. Urban Forestry & Urban Greening 12(2):191-199.